On the eighth day of Holiday Hullabaloo, Amber gave to me…A huge package of YA fantasy and sci-fi ebooks!!! Welcome back to the Holiday Hullabaloo Giveaway, a massive raffle involving FOURTEEN authors with 155 prizes up for grabs! Haha that is because it was at the top and not the bottom. Going to get more coffee now! I have not read any of these although I do own a couple. I would love to win “Lacrimosa” by Christine Fonseca the most I think. 🙂 It is too hard to choose! I’m really excited to read them all. They are all on my to-read list. Choosing the books I’m most excited about is hard but I’d have to go with Here and Open Minds. I’m glad at least I found this before it closed. Thanks! haven’t read them- but what an awesome giveaway! Thanks for your generosity! PS: excited to read them all! I’ve read Tempted by Evil, and I’d be excited to read the rest. I have read Open Minds, Girl Under Glass and Grasping at Eternity 🙂 They are all brilliant. I have a couple of the books but I haven’t read any of them yet! I am reading “Tempted by Evil” now, but like to read Open Minds later. All of these are on my TBR list!! Awesome giveaway! I can’t wait to read “Here” by Denise Grover Swank and I’ve not read any of those books yet. I have read any of them but I hope to read Lacrimosa. This is the third giveaway I’ve seen for it so I feel like it’s destined. I have read “Here” and it was fantastic!!! I haven’t read any of them but I own half of them…I should really get on it!! I’m most excited for Grasping at Eternity! I love all of Karen’s books! I’d like to read any of them. Haven’t read them yet. I haven’t read any of these….. what a great way to spend m holiday vacation. I’ve read other books by Denise Grover Swank, but not Here. LOVE her books! Avid reader and would enjoy to win. Thanks to all for the giving! All of them! 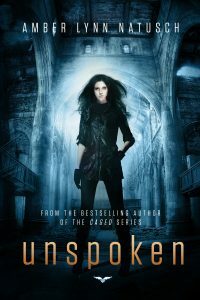 I have read all of the Cages series and All of Denise’s books, and I am hooked on the whole Paranormal theme!! Love this! I am excited to read Possession and Girl Under Glass the most. I haven’t read any of them yet. I have read “Lacrimosa”, “Grasping at Eternity” & “Perception” and want to read the others. Thanks for the giveaway. I am very excited about this give away! I don’t care what I win; anything would be awesome! Actually, I am not sure which ones I am more excited to read! I would love to read each one of them as I have yet to be able to get to any of them at all. Obviously, “Tempted by Evil” by Amber Lynn Natusch!!!! I have read Open Minds and I have a couple of the others but haven’t had the chance to read them yet. But excited to read them. I have only read open minds. But his holiday giveaway has made me excited to read the rest. Oh, fun! I would love to win! Day 8 would mean a whole lot of reading for me!!! I have only read Grasping for Eternity. The other books look great! most excited to read “Here” by Denise Grover Swank and “Whispers in Autumn” by Trisha Leigh. I would love to read them all. I did read “Tempted By Evil” and it was the best. EIGHT books!! Thats awesome and exciting all at the same time!! I haven’t read any of those books, but I’m excited! I love Cages et al. 🙂 I hope I win!!! Sign up for my newsletter to be kept up to date on all my important book release news, cover reveals, random amazingness, and giveaways! Thank you for signing up for the Amber Lynn Natusch newsletter mailing list. You will start receiving semi-regular emails from Amber shortly. Receive notifications of new blog posts via email.